Incontinence is a complex indication under which many patientes suffer nowadays. Being incontinent often comes along with social isolation, reduced capabilities to perform sports and a low self-esteem. 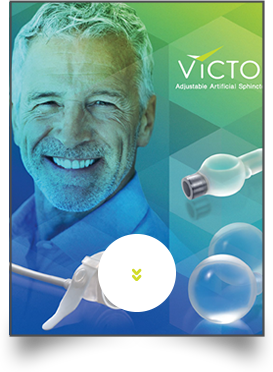 Please download our information leaflet and share with your patient important insights about the implant in order to enhance his life with VICTO. The Device Identifcation Card is the identication of your device. It MUST be completed by the surgeon and given to you after the surgery, before leaving the hospital. This card must be carried with the patient as it contains important information about the implanted device. It is also useful in case of an emergency, as it collects practical information about VICTO functioning, surgery date, surgeon’s name and contact details. Please encourage your patient to look after this card as it contains key data of his device, information that he might need for many years. Please encourage your patient to look after this card as it contains key data of his device, information that he might need for many years. Videos, guides and Victo's instructions of use. 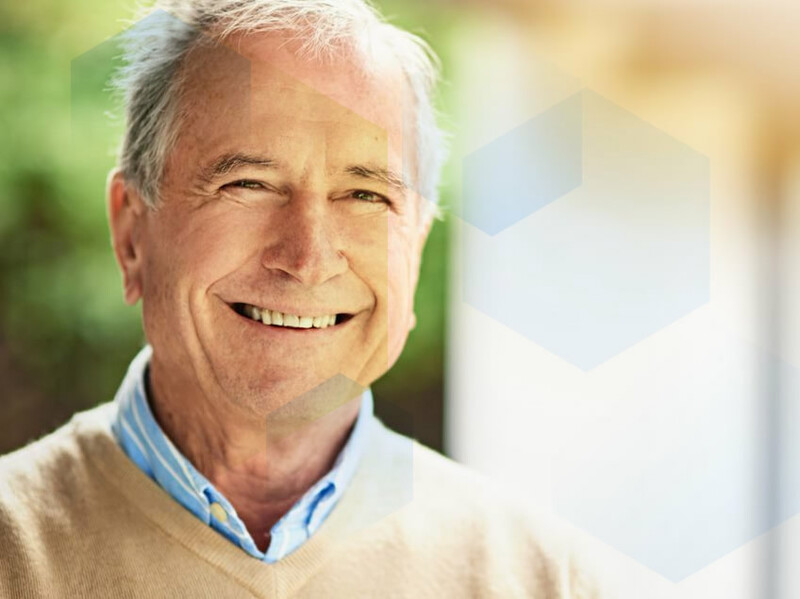 Find important resources to help your patient understand how he can recorver his quality of life. Please read the following Terms of Service (“ToS”) which will from now on regulate the relationship between you (“You/User”) and Sphynx, a wholly owned Promedon company (“Promedon”) regarding the use of this Website. Once you access, browse or use the Website, you acknowledge, and Promedon considers that you have read, understood, and agreed to be bound by the following ToS. This Website is Physician’s oriented, therefore it was developed to inform about VICTO, its characteristics, uses, performances; to provide training and commercial resources, among others. So, if You are not a Physician, this Website’s content is inadequate for You and surely will not satisfy your needs and interests. You, as a Physician, can freely visit and review all the features of VICTO and their related materials. Promedon reserves the right, at its discretion, to change, modify, add, or remove sections of these ToS at any time. Once a material change to these ToS is introduced, Promedon will make reasonable efforts to notify You by posting a notice on the Website. Such amendment to the ToS will be effective against You after a 30-day period of being posted on the Website. Promedon believes that there will be no dispute, but if there is, it will be resolved based on the ToS in place at the time the dispute arose. This Website is owned and operated by Promedon; so the visual interfaces, graphics, design, compilation, information, computer code (including source code or object code), software, services, content, educational videos and exercises, and all other elements of the Website (“Website Materials”) are the property of Promedon, and therefore, protected by Argentinean and international copyright, patent, and trademark laws, international conventions, and other applicable laws governing intellectual property and proprietary rights. Promedon reserves all rights therein and thereto not expressly granted by these ToS, except for any User Content provided and owned by Users. Promedon grants to Users a non-exclusive, non-transferable right to access and use the Website Materials as Promedon exclusively decided to make them available on the Website solely for your personal and professional purposes. Therefore, You cannot use, distribute or otherwise exploit for any commercial purpose, commercial advantage or private monetary compensation the Website Materials, unless You are a Promedon’s commercial representative, or otherwise previously expressly agreed in writing by Promedon. 5.9 modify, adapt, translate or create derivative works based upon the Website or any part thereof; or 5.10 intentionally interfere with or damage operation of the Website or any User’s enjoyment of it, by any means, including without limitation by participation in any denial-of- service type attacks or by uploading or otherwise disseminating viruses, adware, spyware, worms, or other malicious code. You agree to indemnify, defend, and hold harmless Promedon, its affiliated companies, contractors, employees, agents and its third-party suppliers, licensors, and partners (“Promedon Indemnitees”) from any claims, losses, damages, liabilities, and expenses (including legal fees and expenses), arising out of any use or misuse of the Website, any violation of the ToS, or any breach of the representations, warranties, and covenants made herein by You. Promedon reserves the right, at your expense, to assume the exclusive defense and control of any matter for which You are required to indemnify Promedon, and You agree to cooperate with Promedon’s defense of these claims. Promedon will use reasonable efforts to notify You of any such claim, action, or proceeding upon becoming aware of it. THE WEBSITE, AND ALL DATA, INFORMATION, SOFTWARE, WEBSITE MATERIALS, CONTENT, USER CONTENT, SERVICES, OR APPLICATIONS MADE AVAILABLE IN CONJUNCTION WITH OR THROUGH THE WEBSITE, ARE PROVIDED ON AN “AS IS,” “AS AVAILABLE,” AND “WITH ALL FAULTS” BASIS; MIGHT BE INTERRUPTED, WITH ERRORS, VIRUSES OR OTHER HARMFUL COMPONENTS, AND DO NOT WARRANT THAT ANY OF THE FOREGOING WILL BE CORRECTED. TO THE FULLEST EXTENT PERMISSIBLE PURSUANT TO APPLICABLE LAW, PROMEDON, AND ITS AFFILIATES AND LICENSORS, DISCLAIM ANY AND ALL WARRANTIES AND CONDITIONS, WHETHER STATUTORY, EXPRESS OR IMPLIED, INCLUDING, BUT NOT LIMITED TO, ALL IMPLIED WARRANTIES OF MERCHANTABILITY, FITNESS FOR A PARTICULAR PURPOSE, TITLE, AND NON-INFRINGEMENT. NO ADVICE OR INFORMATION, WHETHER ORAL OR WRITTEN, OBTAINED BY YOU FROM PROMEDON OR THROUGH THE WEBSITE WILL CREATE ANY WARRANTY NOT EXPRESSLY STATED HEREIN. 8. Limitation of Liability and Damages UNDER NO CIRCUMSTANCES, INCLUDING, BUT NOT LIMITED TO, NEGLIGENCE, WILL PROMEDON OR ITS AFFILIATES, CONTRACTORS, EMPLOYEES, AGENTS, OR THIRD-PARTY PARTNERS, LICENSORS, OR SUPPLIERS BE LIABLE FOR ANY SPECIAL, INDIRECT, INCIDENTAL, CONSEQUENTIAL, PUNITIVE, RELIANCE, OR EXEMPLARY DAMAGES (INCLUDING WITHOUT LIMITATION DAMAGES ARISING FROM ANY UNSUCCESSFUL COURT ACTION OR LEGAL DISPUTE, LOST BUSINESS, LOST REVENUES OR PROFITS, LOSS OF DATA, OR ANY OTHER PECUNIARY OR NON-PECUNIARY LOSS OR DAMAGE OF ANY NATURE WHATSOEVER) ARISING OUT OF OR RELATING TO THE TERMS OR YOUR USE OF (OR INABILITY TO USE) THE WEBSITE OR ANY REFERENCE SITES, OR ANY OTHER INTERACTIONS WITH PROMEDON, EVEN IF PROMEDON OR A PROMEDON AUTHORIZED REPRESENTATIVE HAS BEEN ADVISED OF THE POSSIBILITY OF SUCH DAMAGES. APPLICABLE LAW MAY NOT ALLOW THE LIMITATION OR EXCLUSION OF LIABILITY OR INCIDENTAL OR CONSEQUENTIAL DAMAGES, SO THE ABOVE LIMITATION OR EXCLUSION MAY NOT APPLY TO YOU. IN SUCH CASES, PROMEDON’S LIABILITY WILL BE LIMITED TO THE FULLEST EXTENT PERMITTED BY APPLICABLE LAW. IN NO EVENT WILL PROMEDON’S OR ITS AFFILIATES’, CONTRACTORS’, EMPLOYEES’, AGENTS’, OR THIRD-PARTY PARTNERS’, LICENSORS’, OR SUPPLIERS’ TOTAL LIABILITY TO YOU FOR ALL DAMAGES, LOSSES, AND CAUSES OF ACTION ARISING OUT OF OR RELATING TO THE TERMS OR YOUR USE OF THE WEBSITE OR YOUR INTERACTION WITH OTHER WEBSITE USERS (WHETHER IN CONTRACT, TORT (INCLUDING NEGLIGENCE), WARRANTY, OR OTHERWISE), EXCEED THE AMOUNT PAID BY YOU, IF ANY, FOR ACCESSING THE WEBSITE DURING THE TWELVE MONTHS IMMEDIATELY PRECEDING THE DATE OF THE CLAIM OR ONE HUNDRED DOLLARS, WHICHEVER IS GREATER. YOU ACKNOWLEDGE AND AGREE THAT PROMEDON HAS OFFERED THE WEBSITE AND ENTERED INTO THE TERMS IN RELIANCE UPON THE DISCLAIMERS AND THE LIMITATIONS OF LIABILITY SET FORTH HEREIN, THAT THE DISCLAIMERS AND THE LIMITATIONS OF LIABILITY SET FORTH HEREIN REFLECT A REASONABLE AND FAIR ALLOCATION OF RISK BETWEEN YOU AND PROMEDON, AND THAT THE DISCLAIMERS AND THE LIMITATIONS OF LIABILITY SET FORTH HEREIN FORM AN ESSENTIAL BASIS OF THE BARGAIN BETWEEN YOU AND PROMEDON. PROMEDON WOULD NOT BE ABLE TO PROVIDE THE WEBSITE TO YOU ON AN ECONOMICALLY REASONABLE BASIS WITHOUT THESE LIMITATIONS. The failure of Promedon to exercise or enforce any right or provision of these ToS will not constitute a waiver of such right or provision. Any waiver of any provision of these ToS will be effective only if in writing and signed by Promedon’s representative. These ToS will be governed by and construed in accordance with the laws of the Republic of Argentina, without giving effect to any principles of conflicts of law. All disputes between the Parties in connection with or arising out of the existence, validity, construction, performance and expiration of these ToS (or any terms thereof), which the Parties are unable to resolve amicably between themselves, shall be finally settled by arbitration. The arbitration shall be held in the Spanish language, in Córdoba, Republic of Argentina in accordance with the Rules of Arbitration of the local Chamber of Commerce by one or more arbitrators appointed in accordance with the said Rules. The arbitration decision shall be final and binding on the Parties. If any provision of the ToS is held to be unlawful, void, or for any reason unenforceable, then that provision will be limited or eliminated from the ToS to the minimum extent necessary and will not affect the validity and enforceability of any remaining provisions. These ToS and any rights and licenses granted hereunder, may not be transferred or assigned by You without Promedon’s prior written consent, but may be assigned by Promedon without consent or any restriction. Any assignment attempted to be made in violation of these ToS shall be null and void.